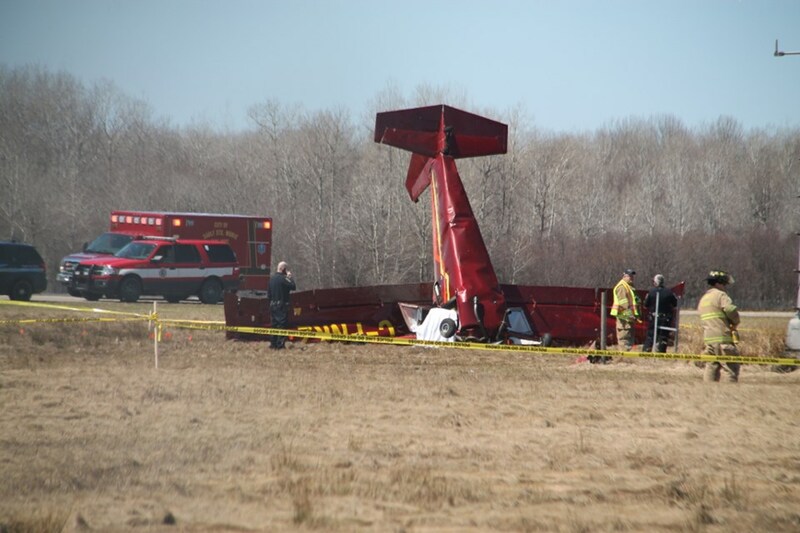 On May 5, 2018, at 1002 eastern daylight time, an amateur-built Belair Raven airplane, Canadian registration C-FNKZ, impacted terrain during takeoff from Sault Ste Marie Municipal Airport (ANJ), Sault Ste Marie, Michigan. The pilot and pilot-rated passenger were fatally injured, and the airplane was substantially damaged. The airplane was registered to a private individual and operated by the pilot under the provisions of 14 Code of Federal Regulations Part 91 as a personal flight. Day visual meteorological conditions existed at the time of the accident for the local flight, which departed without a flight plan. According to several witnesses, the airplane taxied to and departed from runway 32. After climbing with a nose high attitude until about 100 ft above ground level, the airplane made a sharp right turn. The airplane continued turning right and entered a steep nose down dive until ground impact, damaging both wings and the fuselage. 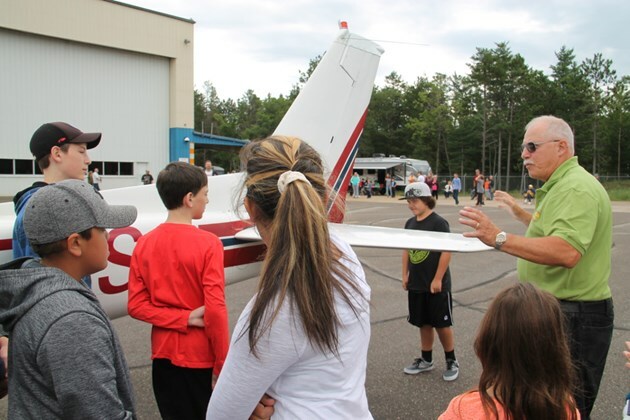 Gilbert Belair, one of two Sault men who died in a plane crash in Sault, Michigan May 5, 2018, is shown at far right explaining flight to children and youth at the third annual COPA for Kids event, held at the MNRF hangar beside the Sault Ste. Marie Airport, Aug. 12, 2017. Family members, friends and local aviation enthusiasts are mourning the deaths of two Sault Ste. Marie men who died in a plane crash Saturday. Although the identities of the deceased in the crash have not been officially released, family and friends have confirmed that pilot Gilbert Belair, 67, and passenger John Paul Finck, 76, died when Belair’s registered homebuilt aircraft crashed at Sanderson Municipal Airport in Sault Ste. Marie Mich. Saturday morning. “When I heard, I nearly fainted. I was shocked. Totally shocked. We were out for coffee Wednesday night, that’s the last time I saw him,” said the Sault’s David West, a friend of Belair’s. 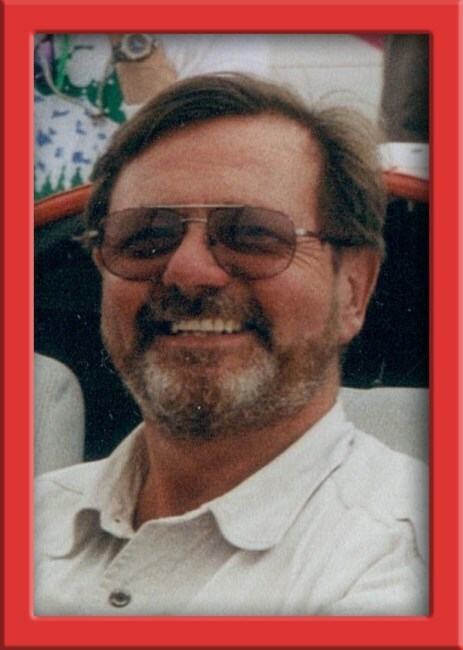 A native of Chapleau and retired electrical inspector, Belair was a member of the Canadian Owners Pilot’s Association (COPA) Flight 66, a group of Sault and area pilots and flight enthusiasts, which forms the local chapter of the Canadian Owners Pilot’s Association. He was also very active with West in the Gospel Hall, his church located at the corner of Spring and Wellington Streets. “It makes you think of your own mortality…(but) I have faith, I know where he is and he’s better off, but I’m thinking of his wife and family,” West said. Finck made it to shore after sustaining minor injuries in that incident. Belair’s plane “stalled and nose dived to the ground near the runway,” wrote Tony Molinaro, a US Federal Aviation Administration (FAA) spokesperson, in an email to SooToday Saturday. “The NTSB (National Transportation Safety Board) will lead the investigation," Molinaro wrote. Sanderson airfield was closed until further notice, and was expected to be closed for “two or three days” while the initial investigation is underway, an NTSB spokesperson told SooToday Saturday evening. What lies beyond the zone of clouds, that whispers urgently to me? The length and breadth and sweep of sky, Suddenly, my soul is free! 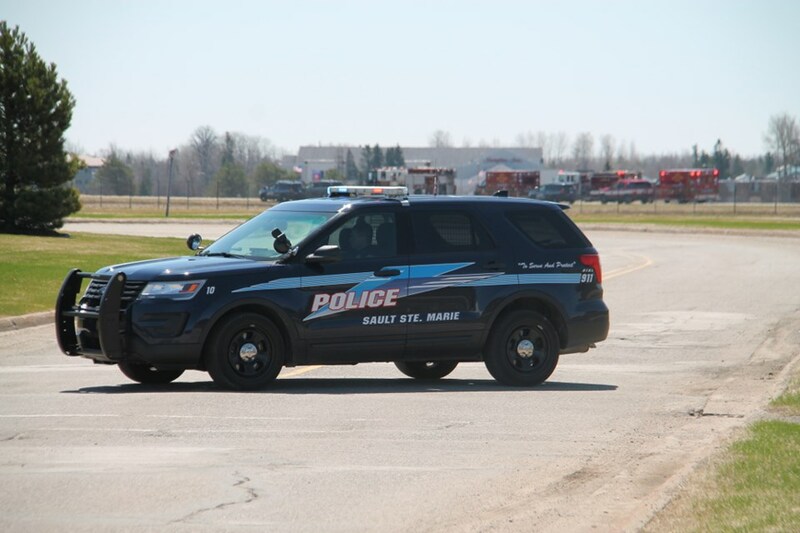 An official with Sanderson Municipal Airport in Sault Sainte Marie MI, has told SooToday two people are deceased after a light plane crashed at the airfield at approximately 10 a.m. Saturday. There were no survivors, the official said. "A Canadian registered homebuilt aircraft departed Sault Ste. Marie (Michigan) Municipal Airport, stalled and nose dived to the ground near the runway. We have been told by local law enforcement officials that there are two fatalities," confirmed Tony Molinaro, US Federal Aviation Administration (FAA) spokesperson in an email to SooToday. "The FAA will be on site to begin an investigation. The NTSB (National Transportation Safety Board) will lead the investigation," Molinaro wrote. 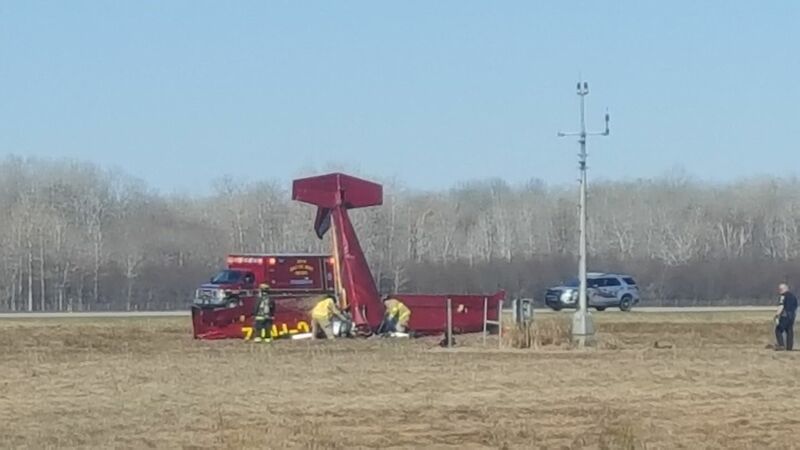 Air traffic was diverted to Chippewa airfield in Kinross after the fatal crash. "Family members of the deceased have been notified. The FAA and NTSB have been notified and have agents responding to the scene to conduct the crash investigation. 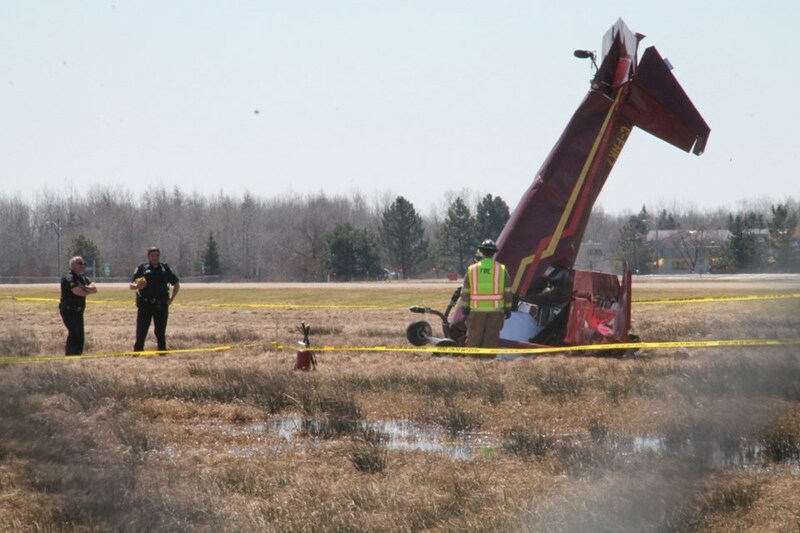 Sanderson airfield will be closed until further notice," said Sault Michigan Police Sgt. Francis DeSchano, speaking to SooToday. DeSchano said the two crash victims are Sault, Ontario males.